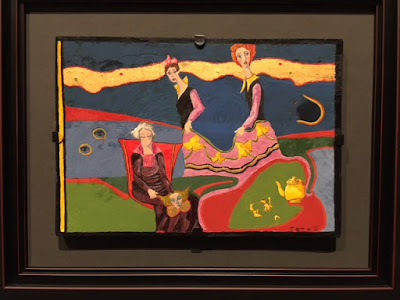 Burchfield Penney Art Center is great about posting a different Charles Burchfield painting on their Facebook page every morning. A recent one is this lush watercolor, August Morn, 1933-49, a view Burchfield painted from his backyard in Gardenville,NY of the backyard of the Arbarella house next door. I love the painting for the way packs in an incredible amount of information and detail. In less able hands it would have been an overcrowded jumble. 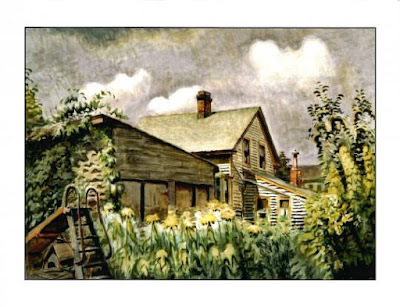 Yet Burchfield evokes a feeling of an intimate and even cozy space. He organizes it beautifully, with a big role assigned to the prominent and impenetrable row of sunflowers that wall us off from the neighbor's yard. One of Burchfield's great talents was finding extraordinary possibilites in the close at hand. 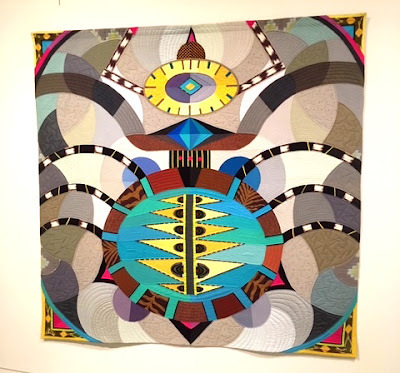 It's always a mystery how some artists manage to orchestrate their forms and their emotions together in a powerful visual duet. I think one reason Burchfield's creativity functioned on such a high level is how seriously he would relive and relish his most vivid memories. When I saw August Morn I realized that for Burchfield his neighbor's Gardenville backyard appealed to him because it so clearly reminded him of the views from his own boyhood home. Here's a photograph I took standing in the back of the home where Burchfield grew up in Salem, OH. That sloping one story addition on the right side house is a dead ringer for the Gardenville, NY house he would paint decades later. 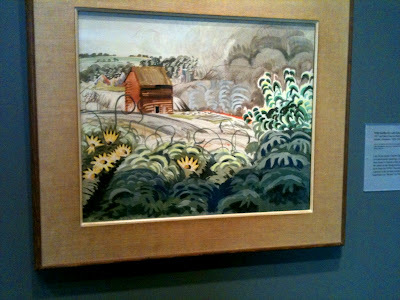 Imagine the thriving garden that was there in Burchfield's day. Maybe you can't go home again, but Burchfield did the next best thing. I've noticed several of his paintings have additions with the sloped roofs - Was this common in Salem and West Seneca. 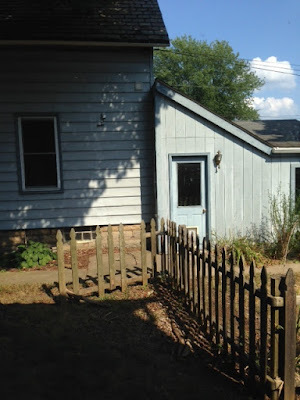 Do you know of any other areas where he painted homes with sloped roofs? Louise you are right there are many Burchfield's showing additions with sloped roofs. I think that this type of building is very common though out the US. As Burchfield delighted in find unexpected possiblilities in the seeminly ordinary and commonplace, it's an architectural style that's just made for him. Plus, he grew up surrounded by it literally.